47 Brand, 100% acrylic. Pink colored kids' beanie with pink pom on top. 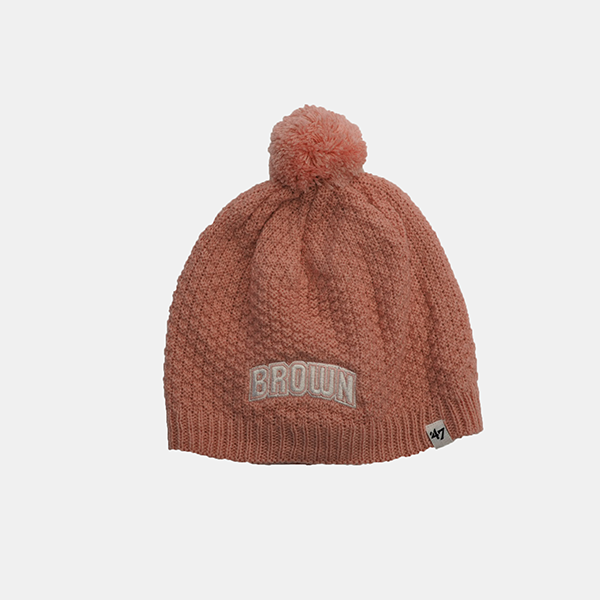 Features 'BROWN' embroidered in white with pink outline on front. 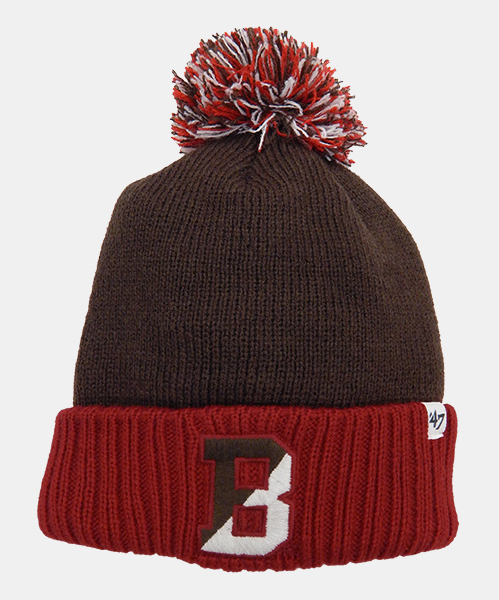 47 Brand 100% acrylic youth brown knit cap with cardinal lining and cuff and brown, cardinal, and white pom. Embroidered half-brown, half-white 'B' with cardinal embroidered outline on cuff. 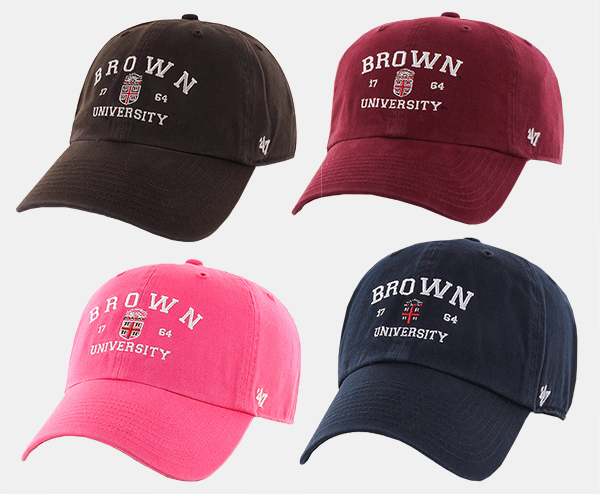 47 Brand 100% cotton, buckle-adjustable youth cap with 'BROWN UNIVERSITY,' '1764,' and Crest embroidered on front. 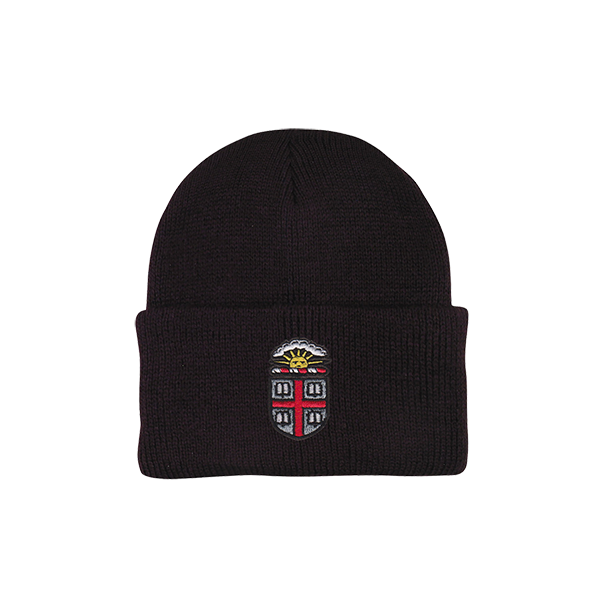 Please select option for 47 Brand Youth Brown University Cap - $21.99. 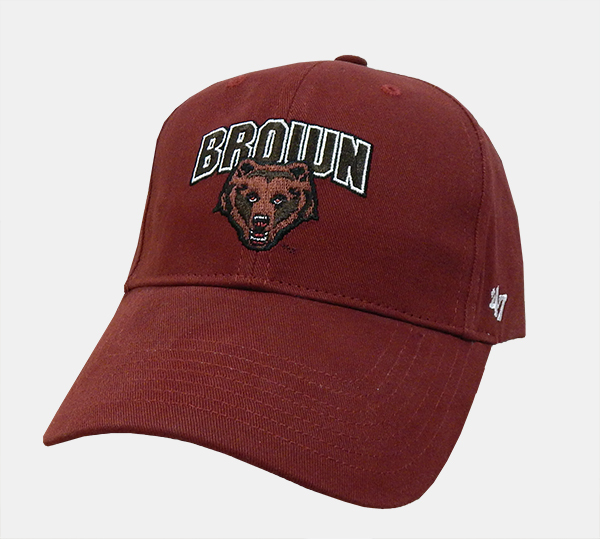 47 Brand 100% cotton, velcro-adjustable, cardinal youth cap with 'BROWN' embroidered in brown with white and black embroidered outline above brown, maroon, black, white, and red embroidered Bear mascot with black embroidered outline on front and '47 embroidered in white on left side. 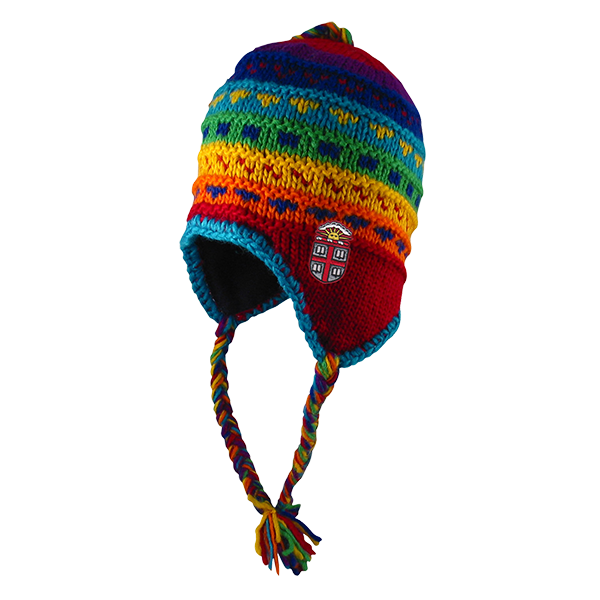 Please select option for Logofit North Pole Infant Cuff Hat. 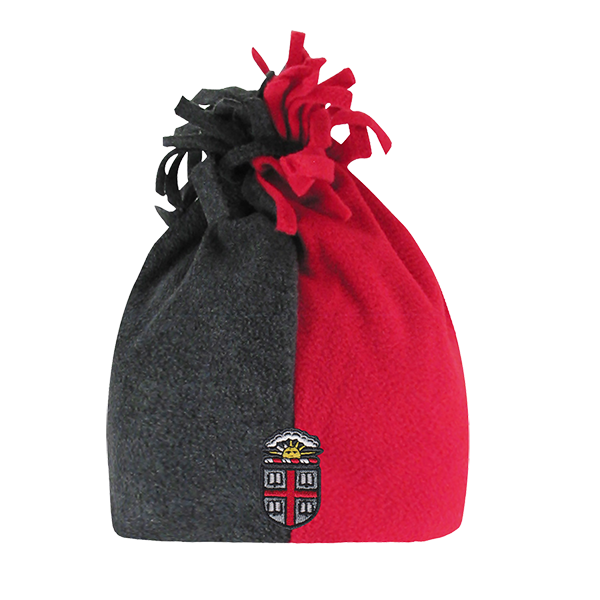 Please select option for Logofit North Pole Jr.'s Cuff Hat. Please select option for Logofit Youth Noodles Hat. Please select option for Logofit Youth Yak Hat. 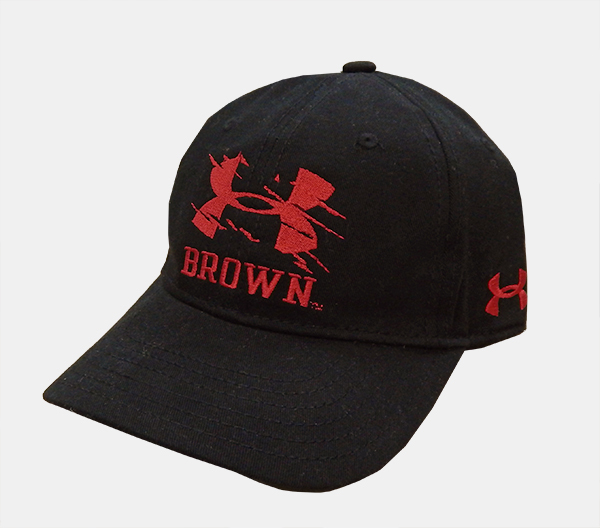 Under Armour heatgear, 100% cotton, velcro-adjustable, black cap with slashed UA symbol imprinted in cardinal above 'BROWN' in cardinal on front. UA symbol embroidered in cardinal on left side. --You can boast that you escaped a Brown Bear attack! 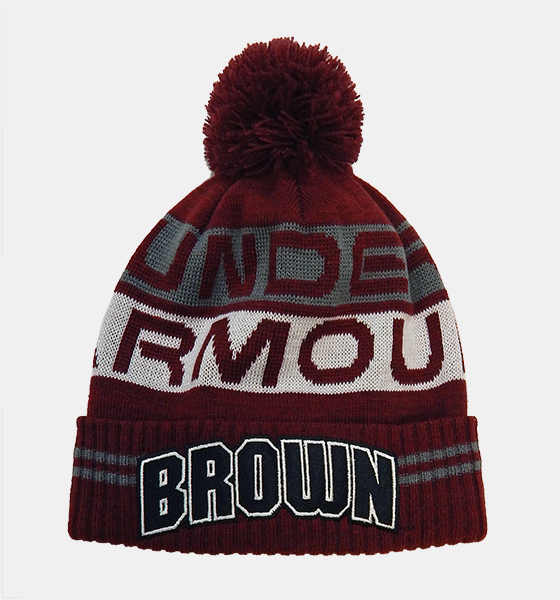 Under Armour 100% acrylic maroon knit youth hat with maroon Pom and cuff has grey striped with 'UNDER' in maroon above white stripe with 'ARMOUR' in maroon and 2 grey stripes on cuff. Embroidered 'BROWN' patch in black with white and black outline on cuff.